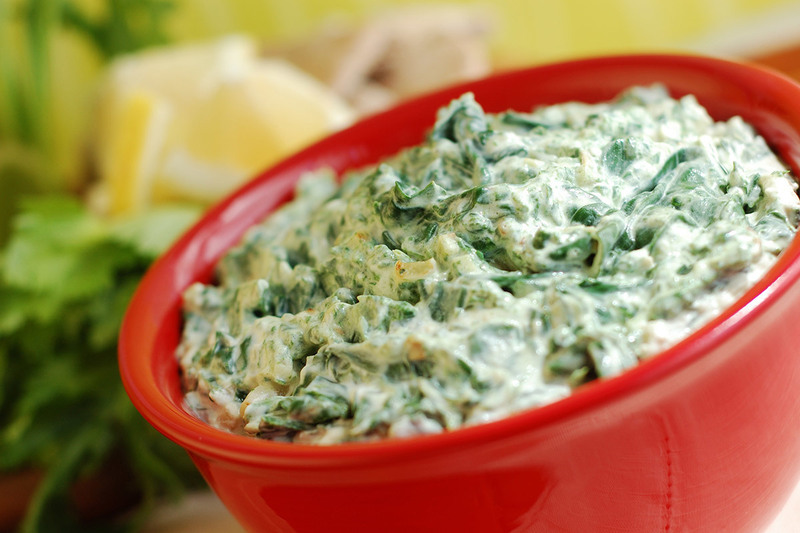 Swapping spinach for kale gives this creamy artichoke dip a hearty, paleo twist. Skip the parmesan to make this dip dairy-free. Finely chop onion and garlic. Set aside. Drain artichoke hearts, place on paper towels and squeeze until moisture is gone. Coarsely chop artichokes and set aside. Coarsely chop baby kale and set aside. Heat 2 tbsp. olive oil in a large skillet. Add in onion and garlic and sauté until tender. Season with coarse salt and pepper. Stir in baby kale and cook until kale is wilted. Add artichoke hearts and stir until heated. Stir in coconut cream and if you are using roasted garlic in a jar add now. Stir until heated and combined. Scoop mixture into a small baking dish. Top mixture with shredded parmesan cheese. Broil until mixture is browned and heated through, 2-3 minutes. Can be served hot with veggies or chips. I use National Value Coconut Cream – it has no guar gum in it. Guar gum can be an irritant to people with digestive issues and many coconut creams and coconut milks have this ingredient. If you put the can of coconut cream in the fridge over night the cream will be on the top and a small amount of liquid on the bottom. You just have to scoop out the cream with a spoon. This dip is great with veggies or plantain chips.